Guide to Finding a Wedding Photographer - Maryland Wedding Photography — Love & Adventure Photography- Baltimore Maryland Wedding & Adventure Photographer. Scrolling through hundreds of thousands of pictures, reading their bio, and trying to figure out if they would make a good match before you meet in person. Your photographer is going to be THE person you should have the strongest relationship with other then your family at your wedding. So many people have similar styles. Each listing out their style in photography jargon that you don’t really understand. So how do you find the right photographer? 1- Decide on your budget - Put on a piece of paper a range of what you would like to spend on wedding photography. The average cost for a quality wedding photography in this area is between $3500-4500. 2- Pick a Style- You will need to start with deciding on what style of photography fits you. Take a minute to go through pinterest or google and creating a folder with your dream wedding images. Once you have a collection of photos try to figure out what draws you to each image. Documentary / Journalistic –This means the photographer focuses on capturing moments. There is a difference between a real documentary photographer and capturing a standard wedding moment. If you truly love the Documentary style of photography go to WPJA to see what documentary images look like. You can also use this site to find photographers in your area. Traditional/Classic- This would be your standard portrait photographer- I call these the copy/paste photographers. Every wedding that they shoot should look exactly alike. Which can be a good thing is you like their style of photography. You will be guaranteed those standard shots. Portrait Photographer-This is the photographer that is going to spend a little more time getting truly stunning and classic photographs of the two of you. The images will be lit to perfection. Because of this each image will take a little bit of time. Environmental Portrait Photographer-This photographer uses the environment that you are in to create epic portraits. 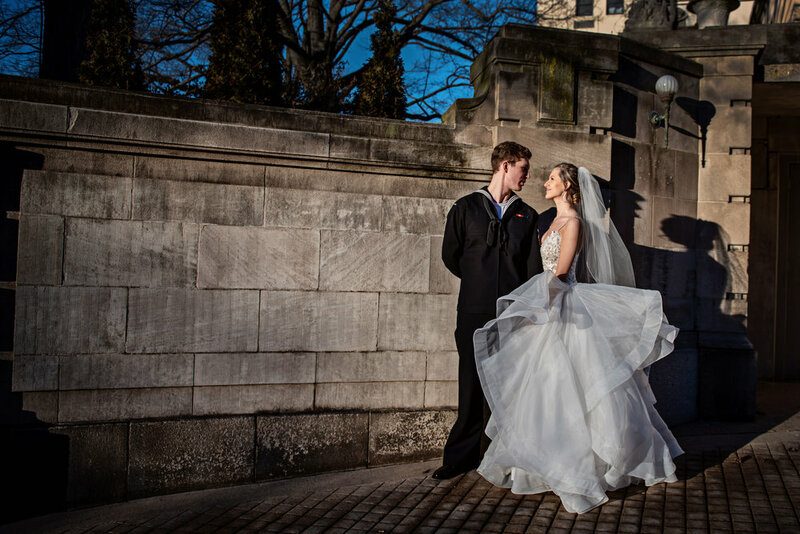 They utilize the natural light, venue, and surroundings to create more artistic photographs. Lifestyle-Is very similar to a documentary but with some direction and styling. It looks more approachable and relaxed. A good photographer will look for the moments but also set the scene. These images have more movement and true laughter. Creative/Fun-This is where the photographer uses his or her creative eye to make something unique and different. 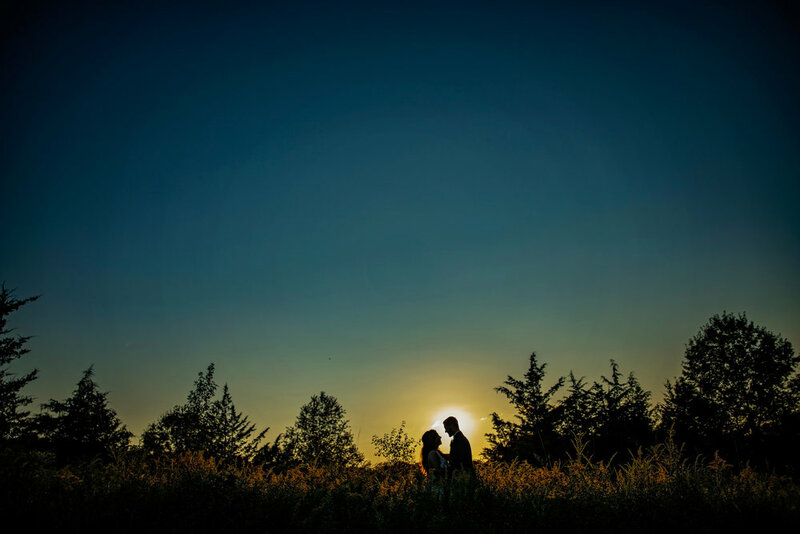 Creative lighting, posing, or other affects help to give you something unlike any other wedding photo. After you figure out some photography styles you like you need to decide on how you like your photos edited. Keep in mind every photographer has their own style of flair that makes their work their own. Bold Colors and Bold Black & White Images- This is typically the editing style for Lifestyle & Documentary , and Portrait photographers. This is the most traditional style of editing but also the most timeless. Color and Black and White Images will always print correctly in albums and will never go out of style. Light and Airy– These images have a pink tone to them. They are bright and with blown out skies. This is usually the style of a classic photographer. A film look- Browns and Greens tend to look darker. Images are a little more dark and moody. This is the current popular editing trend. Sometimes the darker tones mean that the images tend to have an orangish/black look. This doesn’t always translate very well when printed. Another thing is that this look does not translate well from an indoor to an outdoor setting and vice versa.Images from a complete wedding do tend to look a bit disjointed. They also do not flow well in terms of look throughout the day.These photographers are usually environmental portrait photographers or Lifestyle. ** Images with any type of filter are typically a trend and like all trends eventually they die. Be careful with picking an editing style. What you might like today you might not like in 10 years. **Pay close attention to the skin tones in each of the images. Bold and Colorful will always be the most natural. 3- Find a photographer – The best place to find a photographer is usually through word of mouth. Fellow friends and family members who have gotten married. Look through their wedding photos and their photographers blog to see if something hits you. Go to a Bridal Show. Lots of Photographers are at these shows and it will give you a chance to see their work plus meet them in person. If that doesn’t work search the city or state that you are getting married in. “Baltimore Wedding Photography” Here’s where you will start to hit the rabbit hole. 1- The images on the front page of their site should be the best of the best. If you see anything that is out of focus, too dark or too light skip to the next photographer. It is ideal that you fall in love with 2-3 images on their front page. 2- Check pricing. Most photographers have pricing listed on their page or at least the starting price. If you see a starting price add at least $500. That will usually be the starting point for most packages. **If a photographer is starting under $2000 they are most likely in the beginning of their career. This is not a red flag. Some young photographers are really talented. 3- Read their bio. Their bio will tell you about how they work and a little bit about them and their experience. It should list out their experience, their style, and some facts about them. 4- Check their blog. Make sure there are recent images. These images will give you the best idea of what a full wedding will look like with that photographer. 5- Google reviews. This is very very important. You need to know what other couples have to say about your photographer. Check Weddingwire, the Knot, and even Google to make sure that things are positive. If your still not sure ask your photographer for some past couple references. Create a list of 3-5 of your favorite photographers and reach out to them. It is ideal that you email them more then your name, wedding date, and location. Fill out some personal information about the two of you. This will help the photographer to respond with a more personalized email. It is so important to meet your photographer face to face. Don't underestimate the importance of liking and bonding with your photographer. Is the photographer excited by your vision when you describe it? When they make suggestions, do they present them in a clear and respectful way, or are they timid? Are their mannerisms off-putting? In order to get the best photos, go with a pro who has a firm grasp of social graces but is bold enough to go out hunting for great images and who, above all, puts you at ease and doesn't irritate you in any way. Remember: They'll be shadowing your every move, and the more comfortable both of you are with the photographer, the better the photos will turn out. Likewise, you don't want the photographer to offend or annoy any guests, but to shoot them in their best light in an unobtrusive way. To get the best photos, your photographer needs to be assertive enough to seek out great moments, cajoling enough to coax relaxed smiles and natural stances from guests, and calm enough to be a positive force. They should ask lots of questions and be a good listener. Here are some important questions to ask your wedding photographer. Get a custom quote from your Photographer. - I base my photography quotes on a timeline that I create for my couples. I give them three pricing choices. 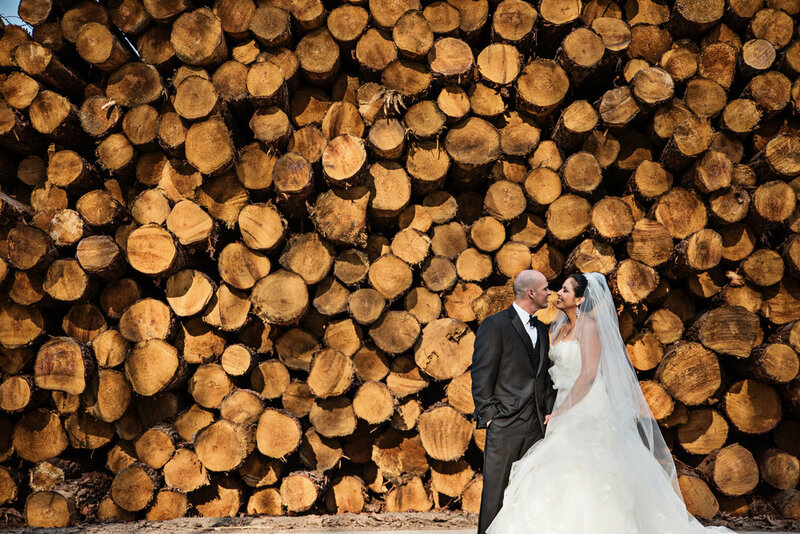 As soon as you know that person it the Photographer… Book them right away ! Have any more questions about booking wedding photographer ask away in the comments below! meet with me for your wedding!